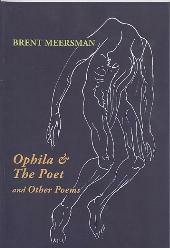 Meersman’s poems are often political and topical. His views are far from conservative, but his poetry is frequently neo-formalist, a return to traditional form, meter and rhyme. 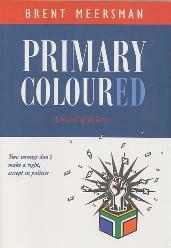 These poems address the moral conscience in the new South Africa, an aesthetic mediation between the personal and the philosophical, between our experience of the world and how we value others’ lives. The centrepiece is Ophila and the Poet, a 5000 word poem, that functions as a dialectic between parallel monologues by two characters. Ophila is both human – a schizophrenic woman entering psychosis – and a mysterious, extraordinary creature – that conjures up the geography and history of Africa. She is ultimately martyred – beautified by suffering, purged of both evil and innocence. Ophila is the reason in madness that leads to self-destruction. The poet is the madness in everyday reasonableness, that allows us to function in the world but diminishes our spiritual connection to it and one another. This dialogue operates on numerous levels – between male and female, between reality and fantasy, belief and proof, acceptance and change, between the demands of society and the needs of the individual. I’ve got a ton of things to do today but couldn’t help readng (and re-reading) excerpts from Ophila and the Poet, some truly wonderful stuff here. Made me feel quite homesick for the first time in years. Do I recognise the style of illustration on the cover as your very own. I’m late now thanks to your profundity – “I’ll get you Meersman”, he said, shaking his fist with a smile. An old friend in the UK.